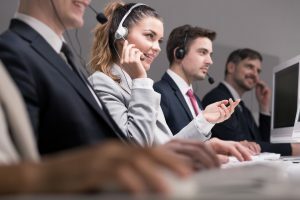 https://3ccontactservices.com/why-is-voice-still-a-dominant-player-in-customer-support/ Why Is Voice Still a Dominant Player in Customer Support? Steven 3CContact Services 2017-08-16T00:00:57Z 2017-08-16 08:21:10 Blog Array Why Is Voice Still a Dominant Player in Customer Support? As technology and methods of communication continue to advance, there are more and more ways to communicate. 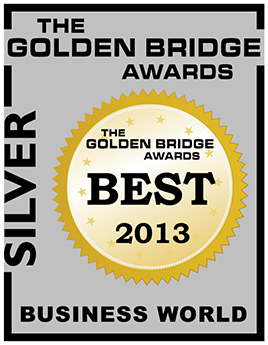 One industry that this has greatly impacted is customer service. Customer support service has vastly improved over the years with the addition of customer support channels such as live chats and e-mails. With three billion Internet users worldwide, it could be assumed that online communications would be enough to successfully serve customers, and that phone customer service would quickly be rendered obsolete. However, phone calls in customer service remain the most dominant method of communication. 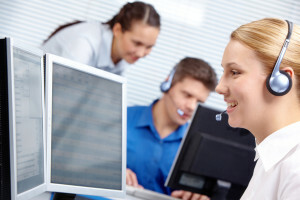 Why are customer service calls still so popular, especially in the age of digital technology? Keep on reading to find out. Contact Center Satisfaction Index (CCSI) for 2014 showed that 57% of consumers prefer to use voice versus other customer service channels. As such, we can observe that even with the exponential growth of Internet users in the past couple of years, phones remain the most dominant choice for consumers when it comes to seeking out customer support. While phone calls are still the most popular method of communication here, it’s important to note that there is a decline happening. It’s been on a decline for a while, and researchers predict that the trend will continue, as more of the older generation is forced to become more tech savvy and move their communications to web- and mobile-based methods. Even though many people still use the phone to contact call centers, 80% of Americans ages 18-65 said that they felt that calling a customer service line is inconvenient. Unsurprisingly, younger people were shown to dislike calls the most. In addition, non-voice channels are expected to experience an increase in traffic in the coming years, with mobile apps and web chats taking the lead. Despite the decline and proposed inconvenience, the phone still plays a critical role in the success of customer support centers. Keep on reading to learn why. Why Is the Phone Still the Most Important Customer Support Channel? Depending on your specific demographic, you might find that some of your clientele just prefer verbal communication because that’s what they’re comfortable with. Some consumers would like to speak to a real person, and if your business doesn’t offer them that option, it could compromise their perception of how legitimate you are. You should make it easy for customers to contact you, listing your phone number in multiple places. 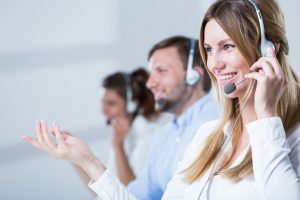 Having reputable individuals answering the phones of your customer support line will help you maintain a positive brand image among consumers. Customer service phone calls allow agents to have more in-depth conversations with customers, which can allow a business to better understand their target market. Being on the phone leaves the lines of communication open for a detailed discussion, rather than the quick back and forth that’s expected with e-mail or live chat. When a customer is greeted by a real person on the phone, they’ll have a more personalized experience, which can improve their overall interaction and impression of your business. While agents can learn client names and use them in conversation over e-mail or live chat, it’s much more difficult to establish a personal connection online. Verbal communication is one step up, and is as close as customers can get to face-to-face service without leaving their home. This goes hand in hand with getting to know customers better and having personalized conversations. The more personable a customer’s experience is, the more valued they’ll feel, and the more they’ll come to trust your business. It’s important to earn the trust of customers so that you company can amass a band of loyal customers who you can depend on their repeat business. Companies can also count on loyal customers for word-of-mouth advertising, which has proven to be invaluable. When a customer has a complex issue they need help with, they’re more likely to call a contact center rather than e-mail them. It’s easier to explain lengthy issues and solutions over the phone, versus online. Even if a consumer chooses to seek advice through e-mail, they may have a hard time understanding the representative’s solution. In the majority of cases for complex issues, phone calls make it easier for both the customer and the service agent. With phone calls, customers are more likely to receive a solution to their problem faster than they would had they resorted to online methods of communication. The faster consumers are served and the quicker they can resolve the problem, the more satisfied they’ll be with your company’s customer service—no one likes waiting days or even hours for a response, and phone calls eliminate the wait. Customer service over the phone remains one of the most popular choices not only because it’s favourable for customers, but it’s advantageous for businesses as well. It’s easier to convert leads to sales when they phone in, versus e-mailing. Agents have a better chance of selling their product or service to a curious consumer that uses their phone line to make and inquiry. Are you determined to improve your customer service over the phone, but aren’t sure where to begin? 3C Contact Services can help you. We’ve been helping businesses retain and grow their clientele for years, and have become one of the top third-party outsourced contact center services in the GTA. While paying close attention to detail, we take a “big picture” approach to help all of our clients reach their full potential. You can be sure that 3C Contact Services won’t miss anything when it comes to serving your customers. If you’d like to take advantage of our services or learn more, please feel free to contact us today.